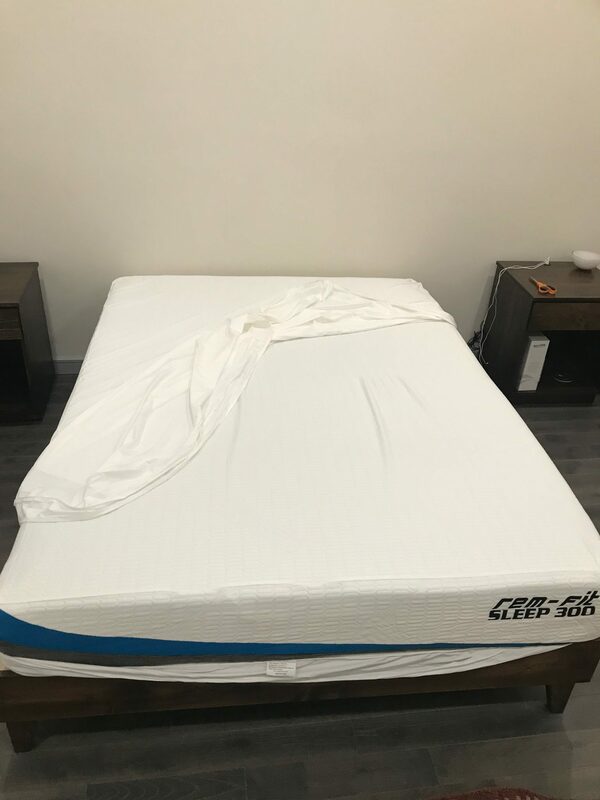 REM-Fit Sleep 300 Mattress Review was recently completed by the MattressJunkie.com team. REM-Fit is a division of Protect A Bed and has 35 years of experience in the sleep industry. The REM-Fit team believes in a restful sleep experience and has an array of sleep related products. REM-Fit was launched in 2014 as an active bedding brand that helps sleepers achieve a healthy and active lifestyle by getting the best sleep possible for maximum recovery and comfort. REM-Fit sent over a queen REM-Fit Sleep 300 Mattress for this review. The REM-Fit Sleep 300 Mattress in queen retails for $899.99. 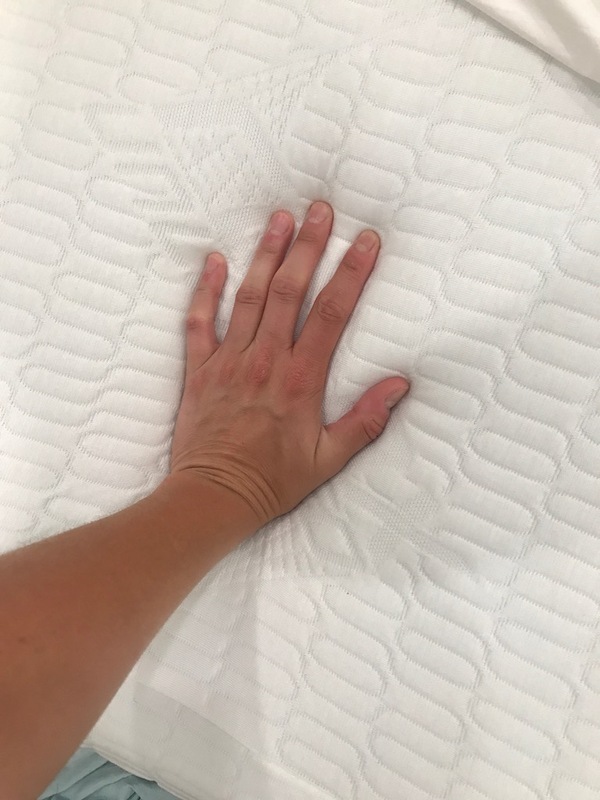 Read more below to find out how the REM-Fit Sleep 300 Mattress stacked up in our review process. Tell me more about REM-Fit Sleep 300 Mattress cover. The REM-Fit Sleep 300 Mattress cover is mostly white in color with a blue and gray accent. The cover has a Re-Ax Unleashed Tencel cover that disperses heat and moisture. The cover hugs the mattress well and is made of Hi- Flow knit which aids in air flow. The cover is sporty and attractive. What’s under the REM-Fit Sleep 300 Mattress cover? Under the REM-Fit Sleep 300 Mattress is 3 layers of memory foam. The first layer is comprised of 1.5 inches of adaptive foam. This gel infused memory foam layer keeps the sleeper cool and comfortable throughout the sleep process. The second layer is 2 inches of cradle foam. Cradle foam cradles the sleeper and conforms to the sleeper’s body shape while providing excellent support and not too much sinkage. The third layer is the support base layer. 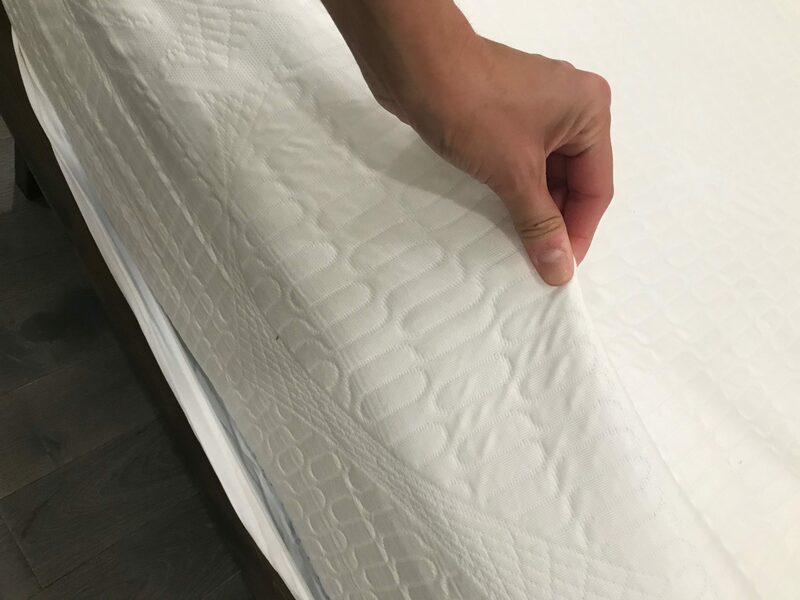 This 6.5 inch layer of base support foam helps minimize motion transfer and adds a high quality layer of durability that will aid in the longevity of the mattress lifespan over time. The REM-Fit Sleep 300 Mattress is 10 inches total in height. What type of sleep style works best for the REM-Fit Sleep 300 Mattress? The REM-Fit Sleep 300 Mattress is a medium in firmness. Medium mattresses are best for side and back sleepers who want a comfortable sleep surface. Stomach sleepers usually want a firmer surface due to sinkage. How much does the REM-Fit sLEEP 300 Mattress cost? 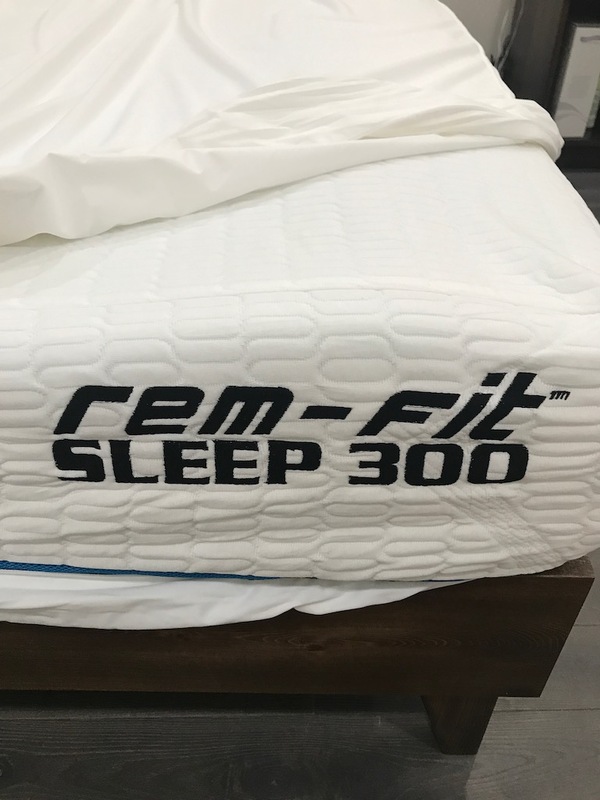 What type of warranty does the REM-Fit sLEEP 300 Mattress have? The REM-Fit Sleep 300 Mattress has a 25 year warranty. This is one of the longest warranties you will find on memory foam mattresses so that’s a testament to how well made this mattress is. What surface is best for my REM-Fit Sleep 300 Mattress? We reviewed our mattress on a platform bed but the REM-Fit Sleep 300 Mattress would sleep great on any flat surface, adjustable bed, box spring, or even the floor. Do we recommend the REM-Fit sLEEP 300 Mattress? The REM-Fit Sleep 300 Mattress was a big hit. 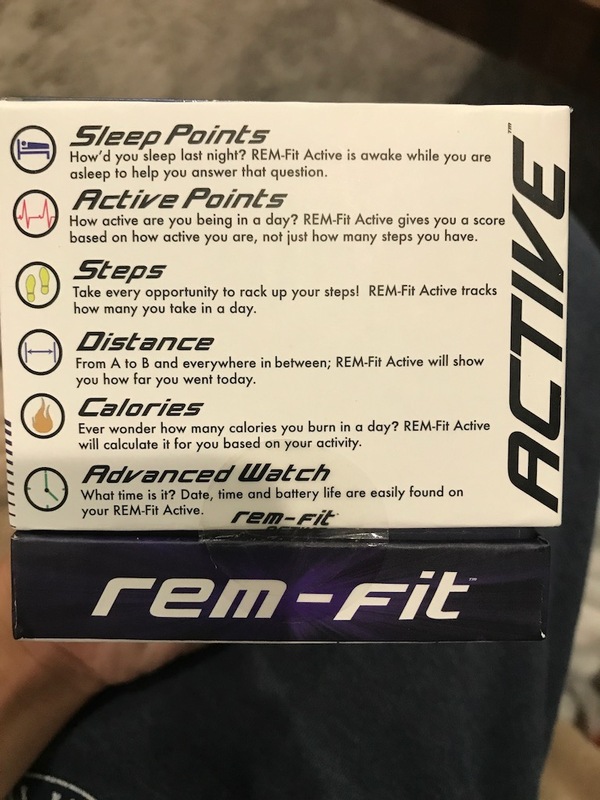 REM-Fit Sleep 300 gives every person who orders this mattress two free REM-Fit 100 Sleep and Activity Trackers. 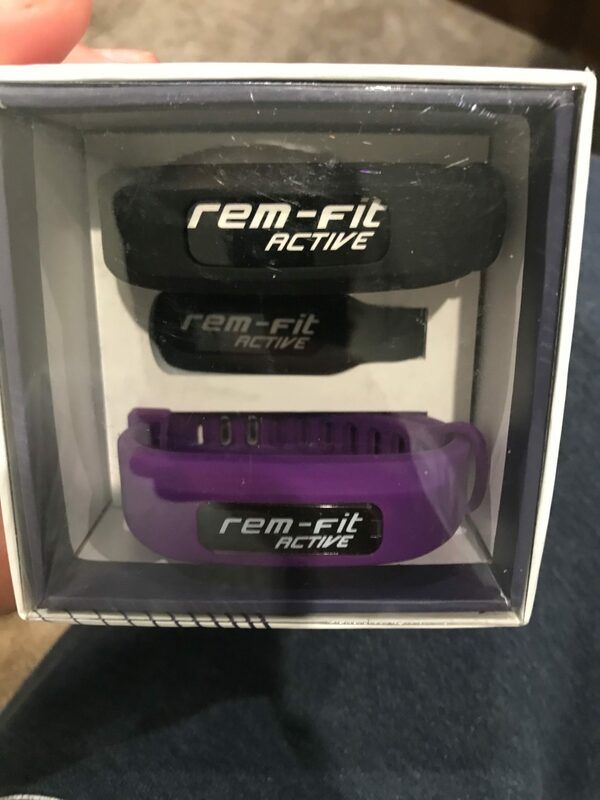 These trackers easily Bluetooth integrate to the REM-Fit app and give you data daily on your sleep and helps measure your fitness activities. This is the first mattress that I have received that gave this type of device to consumers. Having access to the data definitely helps you make healthier choices and allows you to take control over your overall health. 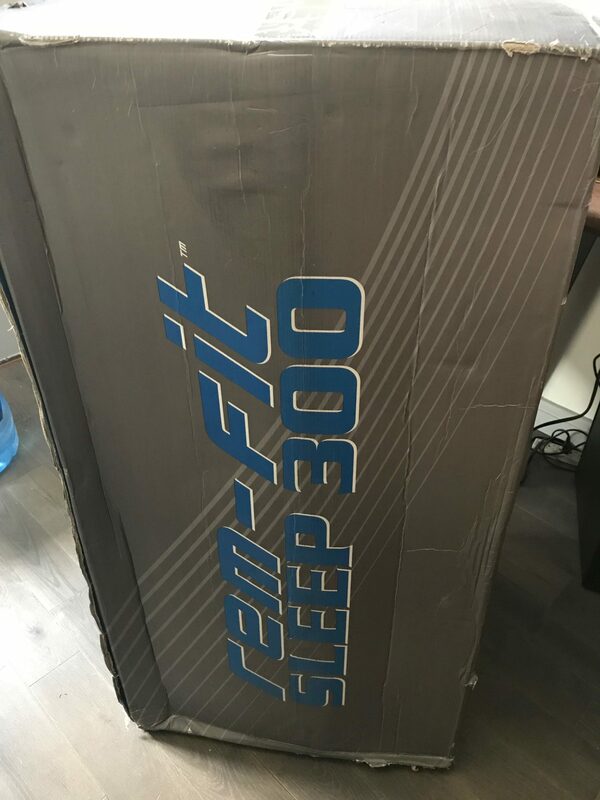 REM-Fit Sleep 300 Mattress would be an excellent mattress for people who want to live a healthier lifestyle and want to sleep cool and comfortable. Side and back sleepers who want a medium firmness will not be disappointed if they make the REM-Fit leap. Learn more about the REM-Fit Sleep 300 Mattress here….